Sound of the Nations Worship Course(SONC) is a 4-week intensive seminar designed to impart the heart of worship, help students find their voice and release their sound in order to create new avenues for God’s love to flood the nations. Sound of the Nations takes worship leaders and those who carry a passion for more intimacy with God deeper into a lifestyle of Presence, Passion, Authenticity, and Creativity – imparting to students, not simply how to lead worship on a stage, but how to live worship as a moment by moment experience. We love the Nations! We are passionately multi-cultural in everything we do. We believe God is calling the Nations to reach the Nations. We strive to embrace all cultures in the way we lead and work together. We have run Sound of the Nations in India, Cambodia, Madagascar, and South Africa. You can expect to find refreshment in the presence of God. You can expect to find freedom in your identity. You can expect to come away renewed in your relationship with God and others. You can expect to grow in your gifts and release a new sound of worship. Everyday we will have deep encounters with God in multi-cultural worship. We will be challenged with fresh teaching on Identity, The heart of an Artist, Cultural Redemption, Authentic Expressions of Worship, and Worship as Missions. Afternoons will be spent working on music skills development and songwriting. The seminar is not only for worship leaders. Everyone is welcome. Even those who do not play an instrument. Kevin has been leading worship for over 25 years and loves the nations. He has recorded 2 African worship albums, one in the language of a Muslim unreached people group that he loves. Born in the USA, Kevin has served in YWAM since 2001, He has been living in South Africa since 2007 with his wife Tonya and 2 kids, Chesney (age 19) and Asher (age 11). Fun-fact: Outside of his family and Jesus, Kevin spends most of his time working on the art of making Curry. Billy has been in YWAM for over 13 years, serving in South Africa and Switzerland. Born in Mossel Bay, South Africa, he brings a unique Khoisan expression of worship and celebration. 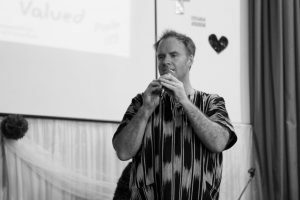 Serving on the leadership team of YWAM Muizenberg, Billy has a heart to develop leaders and has also recorded 1 worship album. Most of all he loves his wife Kenia and their son Hezekiah (18 months). 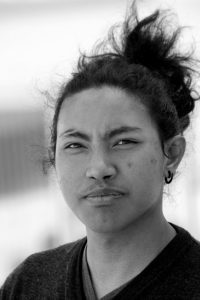 Fy, from Madagascar, has been in YWAM over 7 years serving in South Africa and Madagascar as a DTS leader and Sound of the Nations school leader. He is a gifted worship leader and recording artist. 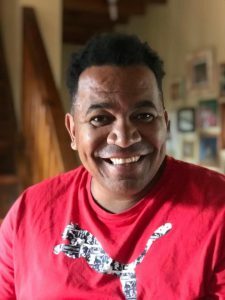 He has recorded 1 worship album and will be releasing his first Malagasy album this year. Fy brings the joy of the islands with him everywhere he goes. Fun-fact: No one outside of Madagascar can pronounce his last name! We will be hosting a Sounds of the Nations seminar September 27th – October 25th, 2019. Come join us for a time of hearing from guest speakers and receiving input as to what God is doing in the nations! Apply here!